Happy new working year to everyone! Though holidays are left behind, we still have some gifts left. 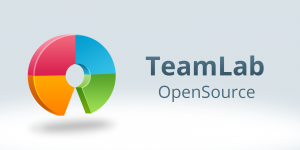 Recently we’ve received a considerable number of requests for a server version of TeamLab, not to mention the permanent demand on the part of open source community supporters. it’s a freely downloadable version to your servers available at SourceForge and GitHub. we’d really like to build an active open-source community whose users will exchange their ideas and help each other. To get all the necessary information on the Community Edition installation and maintenance you can consult a detailed guide on TeamLab deployment and a troubleshooting manual. Note: If you’re using an express server version 6.5 with MySQL installed, the update to 7.5 will be made automatically during the deployment process. The data backup stronly recommended. That’s really great! Can we update from TeamLab Express 6.5 to Server Community Edition 7.5? Hello, yes we’re planning this option in the near future, please, stay tuned and follow our news here. Can’t I install 7.5 CE on windows server 2003 x64? the compatible OS is as follows: Microsoft Windows Vista SP2, Microsoft Windows 7, Microsoft Windows 8, Microsoft Windows 8.1, Microsoft Windows Server 2008(R2), Microsoft Windows Server 2012(R2). Consult the installation guide for details, please. And I didn’t find any photo gallery option under community! Hello Jamil, the dashboards and photo gallery were provided only in v.6.5. Now you can use the feed option to be aware of all the important portal events. But how can I create a photo gallery? Why dashboards and photo gallery has been dropped? Shouldn’t there be a dashboard for all the modules like 6.5? TeamLab underwent complete redesign starting with v.7 and as it’s getting more business-oriented we’ve decided to add more PM and CRM features and cut a bit of social network features, so photo galleries are not available any more. As for dashboards, the feed reflects all the necessary portal events and it is available for every module. This great. Nice to see TL back as a Community install. I would also be interested in a paid full version. One question. Will Teamlab install on Windows Server 2008 Standard? Thanx for the feedback! As we’ve mentioned above, the compatible OS is as follows: Microsoft Windows Vista SP2, Microsoft Windows 7, Microsoft Windows 8, Microsoft Windows 8.1, Microsoft Windows Server 2008(R2), Microsoft Windows Server 2012(R2). Consult the installation guide for details, please. I’ve just done a migration from 6.5 to 7.5. Some things aren’t working properly now. I try to upload a document and get an error that says “The remote server returned and error. (404) not found. I try to open a document by double-clicking on it, it starts loading and then errors out with Download Failed. I’ve been trying to find support for it, but there seems to be very little support for the CE version of this.